A 260 meter bungee jump from a glass bridge? Remember to wear your brown trousers. 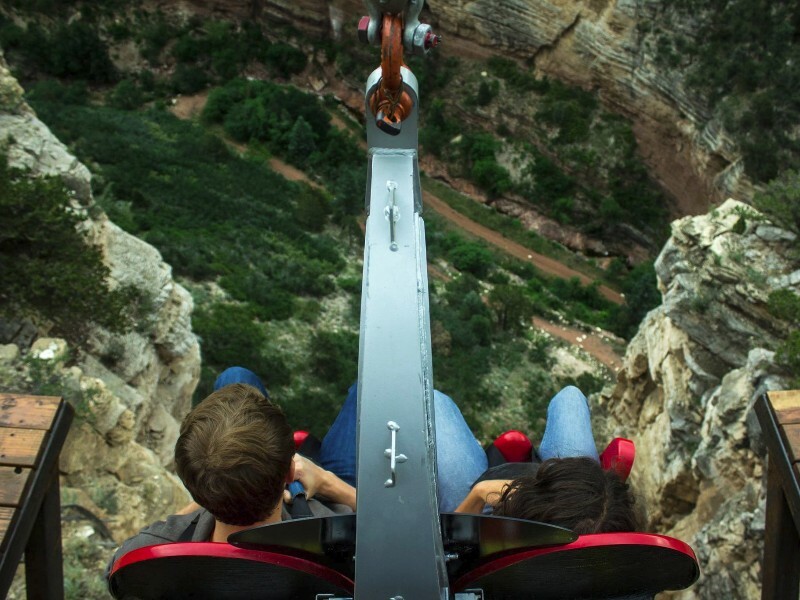 The Terror-Dactyl ride at Cave of the Winds Mountain Park in Manitou Springs, Colo., isn’t for the faint of heart, as brave riders will embark on an epic 200-foot free-fall drop into Williams Canyon. 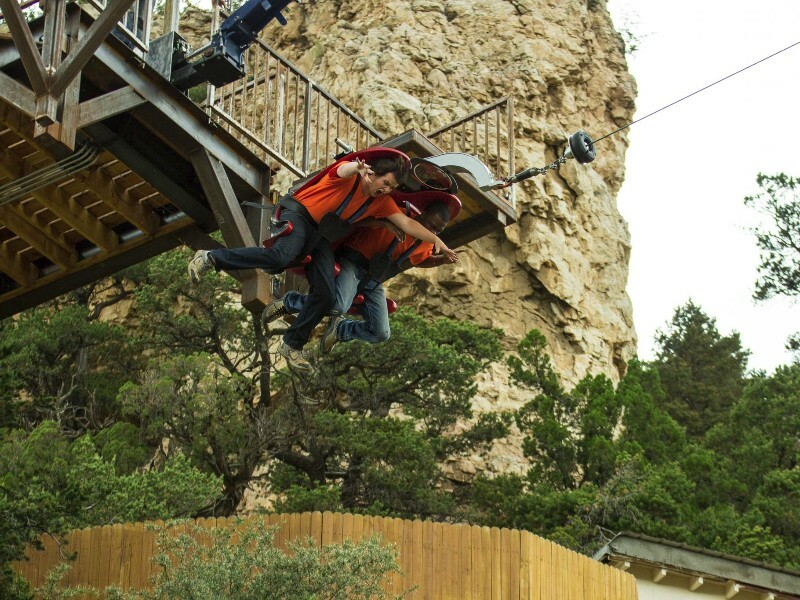 You’ll be hoisted up 200 feet on the edge of a cliff before being released to swing back and forth over the canyon floor at nearly 100 miles per hour. ...but it looks rather like the Nevis Swing. Just like the Nevis Swing 'cept you get a comfy chair to sit in!